How much damage is caused by termites? Have you ever wondered how much damage is caused by termites in a year? Well, estimates vary, but it is estimated that each year termites cause over $5 billion in damage in the United States – and that is most likely a low estimate. Another way of saying it is, in one-year termites cause more property damage than floods, fires, hurricanes and earthquakes, combined. Which is especially unfortunate, as most homeowner’s insurance policies do not cover the costs to repair termite damage. This is also why it is so important to get a termite inspection and call us at the first sign of termites. Homeowners should be aware that the most aggressive termite colony can eat one pound of wood a day, and most species eat two to three times their body weight every day. Of course, the amount of termite damage may be more or less severe, depending on several factors including type and size of termite, moisture level present and time of year. For example, subterranean termites can cause the most damage, will thrive where moisture is available, and, like most termites, are less active during the colder months. How large is a termite colony? Another factor in termite damage is the size of the colony. A mature colony can take 3 to 5 years, or more, to reach a mature size of about 50,000 to 60,000, which is when the colony is large enough to swarm. 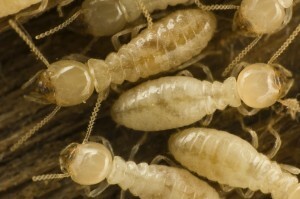 In reality, a subterranean termite colony can range from a few thousand to several million termites. Not to mention, one termite colony can cover a third of an acre! Though termites only travel a couple hundred feet from their nest, one colony may establish several smaller nesting sites, allowing their colony to reach a much larger area. What termite causes the most damage? One type of termite we are most concerned with here in Bakersfield and Ventura is the Formosan subterranean termite, also known as a ‘super termite’. These termites are larger and more aggressive than other types of subterranean termites and can eat 1 foot of a 2 x 4 piece of wood in 2 days. For comparison, an Eastern subterranean termite colony takes 6 months to consume this amount! Formosan termite colonies average 3 million termites to a colony, and can cause widespread damage to a structure in 6 months, especially in the ideal climate that is warm and moist. It is always more expensive to repair termite damage than it is to prevent it. 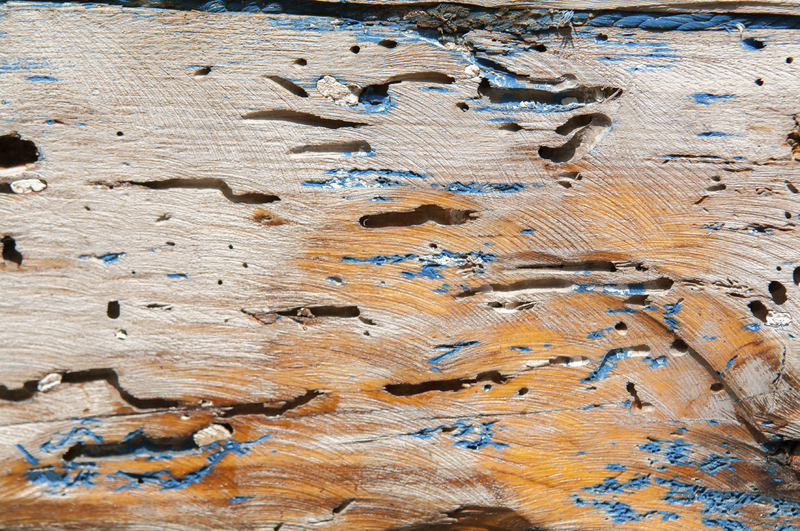 It is estimated that in the US alone, termites damage over 600,000 homes every year. Homeowners should also be aware that termites could affect homes built of just about any material, including concrete, stucco and brick. Call us for a free termite inspection at the first sign of termite damage, or if you are concerned that your property may be at risk for an infestation. Have you ever wondered what happens to bugs and insects in winter? Some butterfly and dragonfly varieties will die off before winter sets in, but not the migratory types, such as Monarch butterflies. 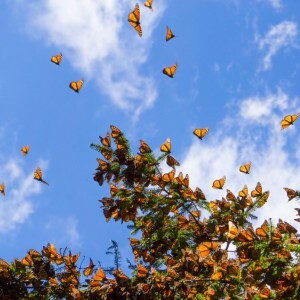 Monarch butterflies are renowned for their winter migration pattern, where they typically travel down to warmer climates such as Mexico, for the winter months. In addition, migrating dragonfly colonies will travel south for winter, and nymphs of the non-migrating dragonflies will survive in the water until spring. Did you know there are indoor and outdoor spiders, and most indoor spiders have never been outside? In fact, most would not be able to survive outside. So, as the conditions inside your home do not change in the winter, neither will the amount of spiders you see inside your home. Outside spiders, however, is a different story. While they are fairly dormant in the winter, these spiders are cold blooded, and are not affected by the weather unless temperatures drop below freezing. This is because they carry a sort of ‘antifreeze’ product in their bodies that prevents them from freezing – however, the cooler temperatures do affect their level of activity, just like other cold blooded animals, like snakes. These winged creatures all choose to hibernate as a means of surviving the cold winter months. Ladybugs, for example, will hide under rocks to stack together to protect themselves from the elements. Bees and wasps will also gather together in hives and nests where they will survive off of stored food until warmer weather arrives. Similar to the winged creatures above, termites and ants will make themselves comfortable below the frost line, where they will feast on stored food and wait out the chilly weather. 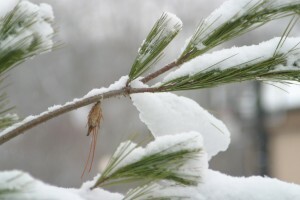 Crickets are one of the few that actually die off before every winter. Before these adults die in the fall though, they lay eggs that will hatch in spring. As mentioned above, some butterfly and dragonfly populations also die before the cold comes, but leave larvae behind that will survive until spring, such as in the picture to the right. Well we’ve saved the best for last. Did you know that most cockroaches have a hard time staying alive below a temperature of 15 degrees Fahrenheit? While that means several varieties can survive outdoors, the American Cockroach cannot. Yes, that means this is insect most likely to move inside during winter to find food, heat and water. This also means winter is the most important time to create a plan of attack against roaches! 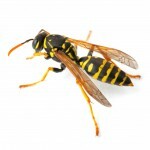 During this season, you may see more pest activity inside your home, and less outside. If you have not had a pest control inspection done on the inside of your recently, now is a good time to do so. Please give us a call to schedule your next pest control inspection or service. 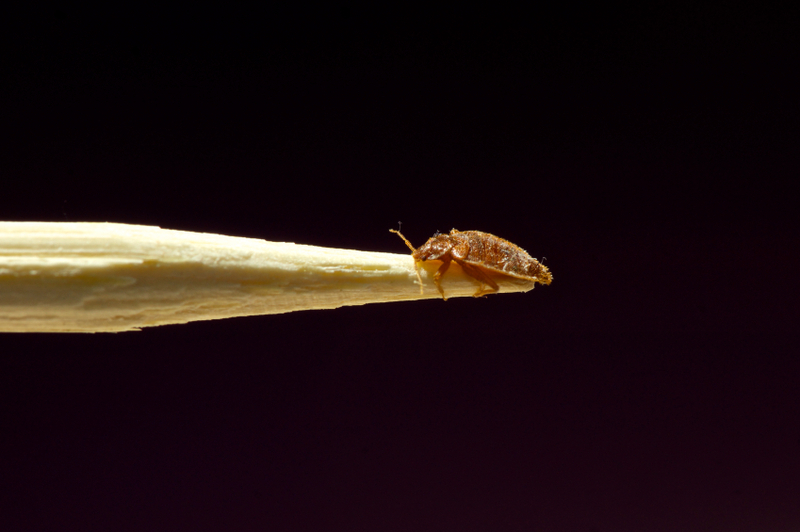 Thanks to 2015 being an El Nino year, Bakersfield California is experiencing a high population of common fall pests. While there is no doubt that California desperately needs the rain to help the drought, the extra moisture in the air – and high temperatures – have welcomed an onslaught of pests to the Central and Southern California regions. rats start to find their way inside where they’ll create a home to keep them warm all winter. The best way to prevent rodents from coming inside is to trim all trees and bushes back from your home, and to close up any holes in siding, roofing or screens. Also be aware that rodents love to camp out in wood and debris piles, so keep these to a minimum and away from your home. 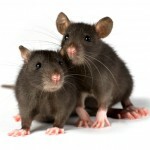 Rodents reproduce quickly, so if you’re seeing signs of these dirty creatures, give us a call immediately. Stinging Insects – Thanks to the warm temperatures, wasps, hornets and yellow-jackets are all at their busiest during the autumn months. Expect these annoying bugs to stick around until temperatures drop to the low 50’s. In the meantime, be on the lookout for nests and make sure to give us a call if you find one so we can remove it. If you don’t take care of your stinging insect problem this fall, expect them to come back in the Spring with a vengeance. Fleas – Did you know fleas can survive all winter indoors or on a warm host? So it is no surprise that these pesky bugs start to head inside during the fall months while searching for a warm winter home. Establishing regular pet flea treatments, and vacuuming of carpets and furniture are the best ways to keep fleas from becoming a problem in your home. Ants – This time of year is when ants start to make their way inside to find warmth and stock up on food before winter hits. If you have ants, we suggest you read our blog post on getting ants out of your house – and then call us. Ants can be very hard to get rid of, and often require more than one type of treatment to successfully eradicate them, which is why it is best to let a pest control professional handle the problem. 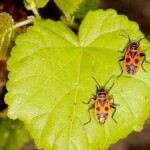 Seed Bugs – Similar in appearance to the Box Elder bug, infestations of seed bugs have been reported in several mountain and desert communities this year. Though they don’t bite, their extremely large numbers are a nuisance and can stain fabric when crushed. These annoying bugs are strongly attracted to any light source, and are often not receptive to pesticides. We know what a nuisance these pests can be, and the damage that can be done if left untreated. If you are experiencing an issue with any of these common fall pests in Bakersfield and need a good pest control company, we can help – give us a call today! Ants – Get out of my house! Whether you live in Bakersfield, Ventura, Tehachapi or Camarillo, you will sooner or later have ants in your house. So it’s a good to know that if you’re in Bakersfield and need a pest control company, we can help! 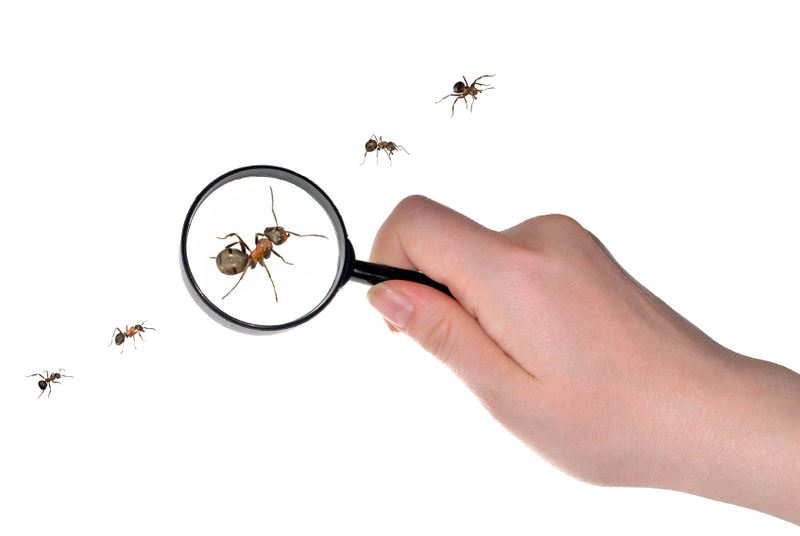 Ants are one of the most common household pests we experience, indoors and out. And, while it’s easy to kill ants, it’s not actually very easy to get rid of the entire colony of ants. In fact, only using one method usually does not work – and not all ant pest control methods work on ants. But that doesn’t mean you have to live with an ant infestation in your house – it just means there are few things you need to know about how to get rid of ants and why they are there. First, did you know ant infestations are often related to the weather? When it’s cold and wet, ants will come inside to find food, heat, and avoid flooding. When it’s dry and hot, or for example, when we are experiencing California drought conditions, ants will try to make their way inside to find water, food and cooler temperatures. This presents a case for ant problems in Bakersfield and Ventura for a couple of times during the year. This also means you can be very clean and still have ants. Keeping a clean kitchen and house alone is not an effective strategy in preventing ants because weather often plays such a large part in the problem. Second, did you know spraying store-bought insecticide is rarely effective with ants? Spraying ants with pesticide only kills the ones you can see, and leaves the nest safe – where most of the ants reside. Bait works better as the workers will take the bait back to the nest for others to eat. However, this is not a fail proof method, and you should consider hiring a pest control professional to ensure your problem has been resolved. Third, the best way to get rid of ants is to avoid an infestation to begin with. Checking for any water leaks or places where water pools around faucets and sinks. These are considered good water sources to visiting ants. 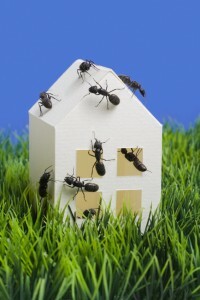 Do an interior and exterior perimeter check and caulk holes or cracks where ants may be getting in. Also make sure to replace torn screens or weather stripping. If you do see an ant, kill it and clean the area around it so that other ants cannot follow its trail. If you can find the trail, clean this area as well to prevent future ants from using the trail. The last thing you should know about how to get rid of ants is that you will never be able to kill all of the ants – they will always make more. The best thing you can do to get rid of ants is to follow the steps above, and to have a regularly scheduled pest control service in place. If you aren’t currently using a pest control service in Bakersfield, give us a call today for a free inspection and let us help your ant infestation become a thing of the past! West Nile Virus can be quite frightening, and despite the name, this virus is not only in Africa. In fact, it’s a growing problem in the United States, including areas of California like Bakersfield and Ventura County. 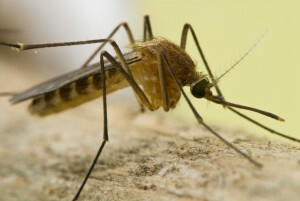 If you have a mosquito problem, we are a pest control company in Bakersfield and we can help. While most people think that they could never become a victim and contract West Nile Virus, if they do not take proper precautions, they may be putting themselves and their family at risk. In this post, we’ll cover the basics of how you can reduce your risk and help to keep your family much safer. First, it’s important to learn a bit about it. How Does It Spread and What Does It Do? West Nile Virus is an infection that humans generally get through mosquitoes. Fortunately, many who get the disease do not have any symptoms. Others may only experience minor symptoms. Some of those mild symptoms might include headaches or fevers. However, others could develop far worse symptoms, including brain inflammation. 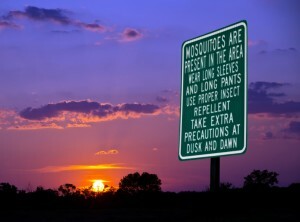 Those who fear they could have West Nile Virus should have an examination by a doctor as soon as possible. Using repellents to keep the mosquitoes off of your skin when you are outside. When choosing an insect repellent, always go for quality and make sure that the repellant specifically works on mosquitoes. If you can, wear long sleeves. This is not always possible in such a warm area as Bakersfield, so be wary of where you are and when you are out. Be aware that the insects tend to be the most active during the evening hours all the way through to dawn, but they can bite during the day as well. Ensuring you have screens on any windows and doors you keep open. Inspecting screens for holes and gaps where a mosquito might be able to enter, and having them repaired. Keeping the house closed up. If you have air conditioning, use it to keep it cool in the house so you don’t have to open windows. Remove standing water. One of the most important tips to help keep your home a bit safer is to remove standing water! This could be from buckets, flowerpots, pet dishes, stagnant ponds, birdbaths, and more. These areas are breeding grounds for mosquitoes. By removing the standing water, it reduces the risk of having mosquitoes on your property. Even if they aren’t carrying West Nile Virus, it is always good to reduce the number of these annoying pests. Be aware of what is happening in your area as well. Dead birds could be an indicator that West Nile Virus is in the area. If you notice this problem, make sure that you contact the authorities in Bakersfield and let them know. While it might not be an issue, it is better to be safe rather than sorry. The above are some of the simplest and best tips coming right from the Center for Disease Control. 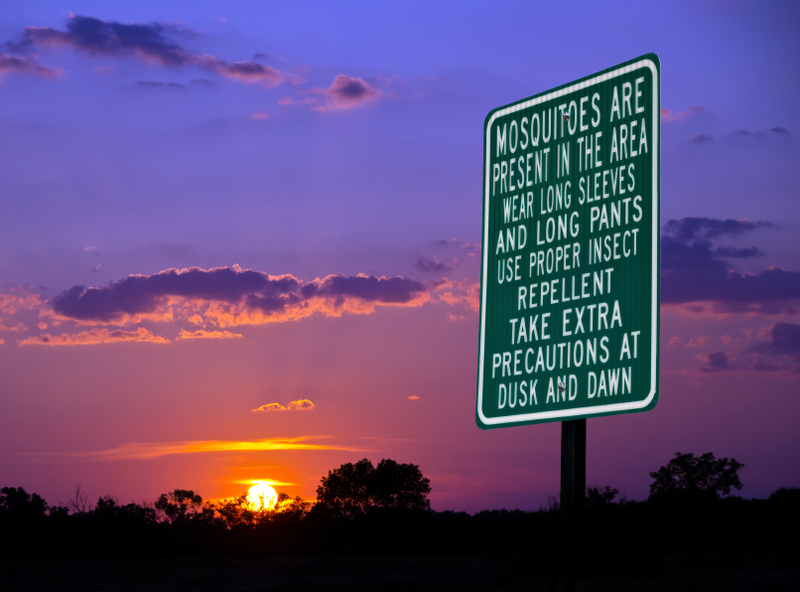 Even though it might be frightening, with a bit of preparedness, you can reduce your risk of contracting West Nile Virus. Our knowledgeable employees are always looking for ways to help you keep your good health and to enjoy the comfort of your home with our Pest Control Service in Bakersfield. So, if they see areas with standing water that might attract mosquitos, they will suggest for you to get rid of this potential source of breeding mosquitos in Bakersfield. 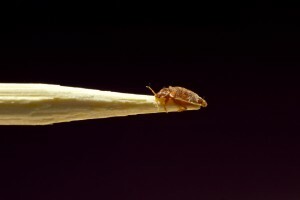 How to get rid of bed bugs – and yes they are in Bakersfield and Ventura County! Bed bugs are tiny, brown bugs the size of a seed that live on blood. These bugs do not fly, and are most active at night when they tend to bite. They have been a problem in Bakersfield, Ventura and across the USA. Thankfully, our company is a qualified bed bug pest control service in Bakersfield. Bed bugs do not transmit disease, but will leave itchy welts. As their name states, bed bugs like to hide in cloth items like bedding, sofas and carpets. 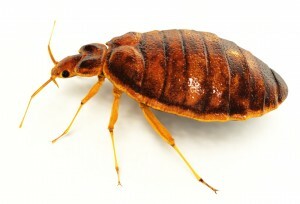 It’s also common for bed bugs to be transmitted in luggage. If you’re concerned that you may have bed bugs in your home, there are several things you can do to start remedying the situation. However, it can be very difficult to kill and get rid of all bed bugs without professional service. Use mattress covers that cover the entire mattress – top and bottom. Hot wash and dry all bedding. In addition, hot wash and dry any clothing that has touched the floor – including the laundry hamper. Hot wash any stuffed animals or other items. Vacuum your floors, pillows and upholstery regularly, and make sure to empty the vacuum canister outside. Steam clean your carpets, bedding and curtains. Steam will kill bed bugs, but only if you are very thorough. Eliminate or reduce clutter so bedbugs have fewer places to hide. This includes cleaning out anything under the bed. Patch and seal any cracks. Inspect your walls for holes and cracks and seal these to prevent any other bugs from entering your home. Call in professionals for the safest most effective approach! A combination approach of the above suggestions, in addition to calling in a bug and pest control company is highly suggested as the best recommendation for effectively killing and treating a bedbug problem. Hubble Pest Control is very experienced in treating and eliminating bed bugs. Just give us a call if you need help! The best way to prevent and/or treat for bed bugs is to have a regular pest control service in place! We can ensure your home or office is free of bed bugs – Give us a call today for a quote on your pest control needs!